What do you get when you cross Space Invaders with Missile Command? You get an Xbox Live Indie Game that I could play in about fifteen minutes so I could get a review up while I wait to finish EvilQuest and XBLA House Party title Warp. Ladies and Gentlemen, I give you Space Command. 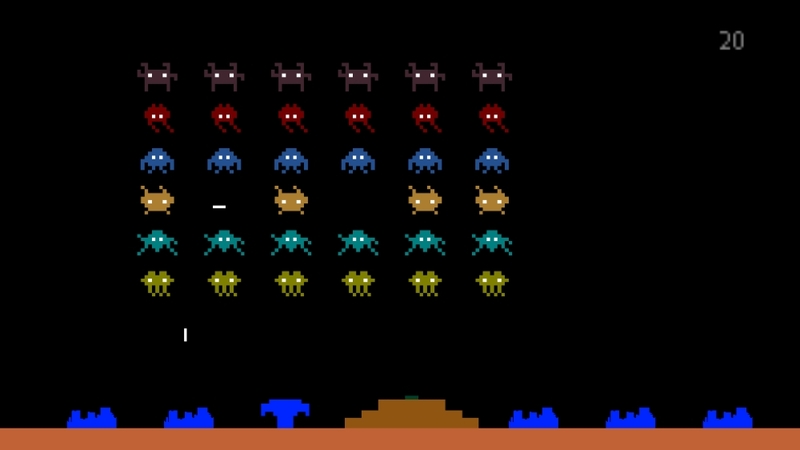 It combines the enemies of Space Invaders with the city-defense firing mechanism of Missile Command. So what does the offspring of these two iconic games look like? Well, let’s just say that I think they might have been cousins. Really, there isn’t much I can say about it. The blast radius of your missiles doesn’t seem big enough and it disappears too fast. And the whole point of Missile Command was that it had precision aiming via use of a trackball, something a joystick can’t hope to recreate. 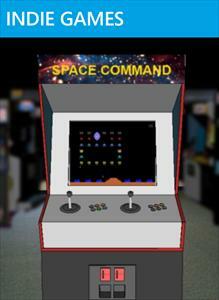 Otherwise, it plays exactly like a mutant hybrid of Space Invaders and Missile Command would play like. So if you ever wondered, now you have your answer. As for me, I’m still longing to know what a game that mixes the rhythm and brawler genres would be like. Sigh, we shall never know. 80 Microsoft Points wouldn’t mind seeing a combination of Frogger and Pac-Man in the making of this review. No doubt there isn’t very much to say about this game, but I have to wonder why you bothered with this review at all. For the purposes of getting a review up this weekend? Hmmm. After reading it, I didn’t even know whether you enjoyed the game for even a moment – which, surely, is kind of the point. Sorry this took me so long to get back to. Busy week. I called the game inbred. I figured that statement qualified my whole review. If not, I’ll make it clear: the game isn’t very good. It’s not horrible or anything. I agree with Ivatrix: play the demo and you’ll get over the initial novelty factor and be satisfied without purchase. It’s fun in a nostalgia kind of way and doesn’t require much thinking so it’s a kind of easy relaxing play for a few minutes before you get bored of it. The only reason I didn’t buy it was you get practically the whole experience in the trial. The developer has certainly come a long way from the slightly creepy ‘Are you smarter than a cheerleader’ to get here. The game is pretty much what I would have expected if I had accidentally spilled my chocolate milk on my Atari 2600 Missile Command and Space Invaders cartridges and they somehow bonded together. When I was 5 years old, I mean. Who knows what could happen. Interesting fact — you know how much RAM the Atari 2600 had? 128 Bytes. Not kilobytes, just bytes.